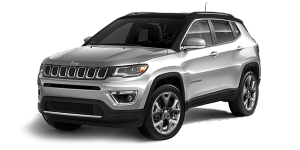 Behold the most powerful and technologically advanced Jeep vehicle ever built. 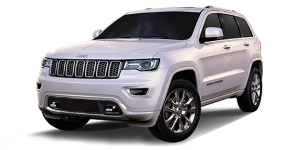 Grand Cherokee SRT® reflects an aggressive profile that gives a clear indication of the capability and power that lie within. Heads will turn on the road and on the track. Superior performance combined with ultra-premium luxury makes the Grand Cherokee SRT unique. 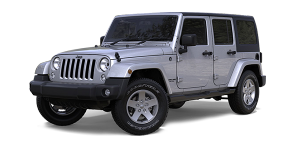 The 6.4-litre HEMI® V8 engine delivers massive power through an efficient eight-speed automatic transmission. Use the fully electronic automatic shift mode or climb up and down the gears with steering-wheel paddle controls. Eco Mode and Fuel Saver Technology complete the equation for both power and efficiency. The Launch Control button activates a system that will optimise every possible setting for maximum acceleration off the line. Hit the button, hold down the brake, straighten the steering wheel and apply full throttle. When you lift off the brake, your vehicle accelerates as hard as possible off the line with maximum torque and minimum tire spin. The Selec-Track® system provides the driver the ability to precisely adjust driving settings to maximise performance. Suspension, torque distribution, shift schedule, stability control and engine mapping are all controlled through the simple interface. A sophisticated Active Damping System opens and closes the suspension’s damper valves depending upon which of the five settings is chosen. 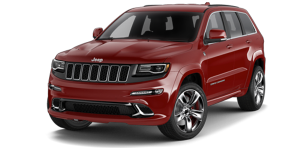 Selec-Track® helps the Grand Cherokee SRT® be both a comfortable daily driver and a quarter-mile sprinter, all in one impressive package. Crafted by devoted engineers who know the real meaning of street-savvy, race-ready power. Fuel Saver Technology gives performance enthusiasts welcome efficiencies while maintaining the capability to drive on the road. This standard SRT engine delivers 470HP and 624 N•m of torque that peaks 4100 rpms. Be prepared to reach incredible speeds incredibly fast. A Brembo high-performance braking system with a four-wheel disc antilock brake system (ABS) provides the stopping power for the Grand Cherokee SRT®. Massive 38.1 cm (15) rotors on the front with six-piston calipers and 35.052 cm (13.8) rotors with four-piston calipers on the rear are clad in red to help show off their enormous size. A tight-to-the-road stance, wide footprint and sinister “blacked out” front end gives the Grand Cherokee SRT® a look that’s all its own. The front grille and lower mouth area have a gloss black treatment and sport distinctive headlights. Bright LED daytime running lights and turn signals give it a face you can’t forget. The available Laguna leather seats are crafted from leather sourced from one of the world’s finest tanners. Elmo Leather, based in Sweden, chooses hides exclusively from Scandinavia, where a ban on barbed wire fencing means there are fewer scratches and irregularities on the raw hides. Processing is kept to a minimum to let the leather’s natural softness and beauty shine through. The leather will develop creases and wrinkles that conform to the way that you sit in the seat. Leather-wrapped and flat-bottomed, the steering wheel features paddle shifters for manual gear changing. The Harman Kardon® system with an 825-watt amp provides the ultimate in fidelity. 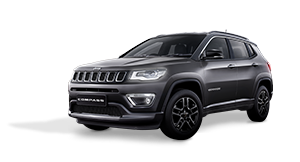 In addition to information like navigation and fuel efficiency, the 17.78 cm (7) instrument cluster also provides SRT®-specific communications to enhance driving performance. G-force effects are instantly available as performance measurements like 0-60 and quarter-mile times. Telemetry and real-time data aren’t reserved for the racetrack or dyno room anymore. 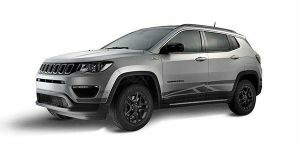 SRT® Performance Pages are displayed on the Uconnect® System’s 21.336 cm (8.4) touchscreen and provide performance statistics like dynamic handling, braking, engine horsepower, engine torque and acceleration. SRT® Performance Pages will also track what’s happening under the hood with digital gauges that relay battery voltage, oil pressure, coolant and intake air temperature.